I’ve been looking forward to this new release for some time now. Here is a great article on the “spring wave” of Dynamics CRM updates. I hope you find it as interesting as I did. The “spring wave” of Dynamics CRM updates is now generally available, Microsoft announced on Monday. The update is available as Service Pack 1 (SP1) for on-premises Dynamics CRM 2013 users, and as the “Spring ’14” update for Dynamics CRM Online users. It supports 42 languages and is accessible in 54 markets, according to Microsoft’s announcement, with more expansion planned for Dynamics CRM Online during the third quarter. Originally code-named “Leo,” this update wave incorporates technologies acquired from MarketingPilot, Netbreeze and Parature, all of which were purchased by Microsoft over the span of the last two years. Microsoft detailed some of these additions in February of this year and later at the Convergence conference. •	A Unified Service Desk, designed to help customer service agents handle multiple aspects of customer interactions—such as e-mail, voice and IM communications—in a single interface. •	A Social Listening tool, which lets organizations monitor and respond to customers’ social media posts about their products across different platforms and in real time. •	A marketing automation tool called Dynamics Marketing. According to this Microsoft blog, the Social Listening tool is free for Dynamics CRM Online users with at least 10 professional licenses. On-premises users can purchase Social Listening for $20 per user per month. The Dynamics Marketing tool is available as a standalone service for $125 per user per month, a Microsoft spokesperson said in an e-mail. It is also included in the Dynamics CRM Online Enterprise licensing plan, which costs $200 per user per month. Microsoft’s Dynamics CRM release preview guide gives more details about the new update’s features. I thought this article was very interesting about Cloud computing. I hope you enjoy reading it. Cloud computing is becoming a preferred computing option across almost every industry, and it is expected to grow in prevalence over the next few years. The cloud offers a lot of advantages over on-premise computing solutions, ranging from cost savings to increased productivity. While some industries are still cautious about jumping on the cloud bandwagon, others are embracing the new technology with great enthusiasm. These days, more and more consumers are using digital technology to get product information and make purchases, and retailers need to provide a seamless shopping experience across a variety of channels in order to remain competitive. By adopting cloud computing, they can meet their customers’ needs more efficiently and effectively with real-time personalized offers and marketing efforts. According to an Accenture forecast, the cloud computing market in the retail industry is expected to grow by more than three times between 2011 and 2015, from $4.2 billion to $15.1 billion. Retailers can improve almost every aspect of their businesses by switching to cloud computing, including channel operations, merchandising, marketing, supply chain, sales, customer service and support. When cloud computing was first introduced, the legal sector was one of the industries that were hesitant to adopt it. However, increasing acceptance of the technology in recent years has made it one of the top 4 industries that are embracing the cloud. In a study conducted by LexisNexis, about 72 percent of attorneys from independent law firms in the US said that they are more likely to make use of cloud-based tools in 2014. Law firms are one of the types of businesses that have a lot to gain from cloud adoption, because the cloud can provide reliable and secure storage for vast quantities of data, as well as easy data access. Additionally, it improves data mobility, offers secure data backup and substantially reduces or eliminates IT infrastructure, software licensing and IT personnel costs. According to Gartner, more than 60 percent of banks around the world will be using cloud computing to process most of their transactions by 2016, and capital markets will adopt the technology at a faster rate this year. There are many reasons why more and more banks are reaching for the cloud. Other than being a cost-effective computing solution, it can also help banks achieve higher levels of consistency, standardization, productivity, agility and responsiveness, and make it easier and faster for them to deliver new products, enter new foreign markets and fulfill their growth agendas. Cloud computing is a great computing solution for manufacturing companies because it enables them to avoid the numerous business and technical problems that come with running their own data centers, and it also reduces IT costs significantly. By embracing the cloud, manufacturers can also establish a presence in almost any place around the world, connect manufacturing plants to an IT infrastructure and search for new business opportunities globally. According to MintJutras, SaaS-based applications accounted for 22 percent of all manufacturing and distribution software installations in 2013, and the figure is expected to rise to 45 percent within 10 years. The benefits of cloud computing are virtually endless, and businesses that have not adopted this technology should do so as soon as possible, or they will be left behind by their competitors. 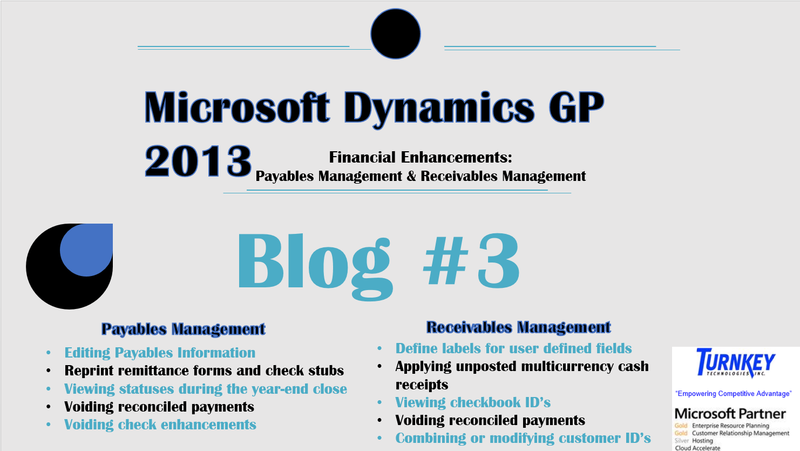 4 Reasons to Get Excited about Microsoft Dynamics CRM 2013 Release! Microsoft Dynamics CRM 2013 has been designed with an intuitive new interface that redefines the word “productivity”. Designed to be easy to understand and navigate, the layout keeps everything clean and clutter-free, while maintaining easy access to all the tools and capabilities that users need in a timely manner. Drop down boxes at the top of the screen allow constant access to the different areas of Dynamics CRM, making it easy to quickly perform tasks on the fly. Additionally a Quick Create button has been added to allow the creation of records from anywhere within Dynamics CRM! The modern world of marketing keeps introducing interesting trends such as the use of social media for optimizing marketing efforts. Dynamics CRM is a leader in this innovation, as it is one of the first CRM applications to integrate with social media tools like Yammer, MarketingPilot and NetBreeze. Yammer is a social network for enterprises that allows businesses to collaborate and communicate with people inside and outside of their organization. Microsoft has acquired Yammer and integrated it into Microsoft Dynamics CRM 2013, creating a powerful collaboration advantage for users. Access to Yammer feeds within the context of Dynamics CRM allows companies to communicate and collaborate across their entire ecosystem in a way that’s fast, relevant, and available to them when they’re working. Partners, suppliers, etc., can remain up-to-date with each other’s news, activities, insights, and ideas in a collective manner that keeps all parties on the same page. MarketingPilot is an impressively powerful, tightly integrated marketing solution that was acquired by Microsoft in 2012. It gives you up-to-date tools for marketing resource management, campaign management, media planning & buying, budgeting, and more. The integration of MarketingPilot with Dynamics CRM 2013 gives businesses a complete integrated marketing management (IMM) solution that provides insight into campaign ROI’s and performance like they’ve never seen. NetBreeze was recently acquired by Microsoft to help businesses analyze and act on market intelligence from social conversations. With NetBreeze, users can monitor sentiment and analyze trends to focus their communications and drive sales. The integration of NetBreeze with Dynamics CRM 2013 gives users the ability to monitor information from a wide array of social media channels such as Facebook, YouTube, Twitter, as well as 6,000 online news websites, 18 million blogs, and 500,000 message boards, all from within the context of the software they use to work. Microsoft Dynamics CRM 2013 contains an amazing new feature that visually guides users through business processes so they can easily see what has been completed, where they are in the process, and what still needs to be done. Predefined and configurable processes help drive employee effectiveness as each stage is clearly outlined, with recommended steps to complete the process. As users move backwards or forwards through the process, they will be presented with a new list of suggested steps accordingly. Processes within Dynamics CRM are highly configurable. Role-specific process assignments means when a user is assigned a process, they can switch from the default process to a process customized to better fit their role. Companies can customize their software processes to perfectly match the actual business processes they have in place. They can also easily package, export, and import the processes between systems. A huge trend in CRM, and business applications in general, is the ability to access them from anywhere, anytime, via a mobile device. This trend isn’t going anywhere, which is great news for Dynamics CRM 2013 users, as Microsoft will be releasing a mobile app that is designed specifically for ease-of-use with mobile devices. Mobile access to your system means you can arrive prepared for any appointment, and allows you to update your notes, records, and tasks while they are fresh in your mind. Using Dynamics CRM on your iPad or Windows 8 tablet, you’ll notice a seamless experience that is consistent across all your devices, driving productivity regardless of what device you’re using. Phone applications for Dynamics CRM 2013 will be released in the near future that are touch-screen-optimized, so you can visually access all the areas of Dynamics CRM without losing the powerful capabilities that you need. We are very impressed with Microsoft’s ability to deliver, time and time again, new versions of their software that address all the best areas of improvement with relevant on-point enhancements. In fact, their commitment to software development, innovation, and improvement is something unmatched by competitors, and, in my opinion, a contributing factor in the huge success of their applications. We think you’ll like what Microsoft has been up to, and we highly encourage you to see for yourself. Microsoft Dynamics CRM 2013 is a beacon of forward-looking innovations, and we have complete faith in its ability to add value to your business. For a high level estimate of your investment in Microsoft Dynamics CRM, please use our FREE “Microsoft Dynamics CRM Quick Quote Tool”. This tool gives you a great starting point for assessing your potential investment in a World Class CRM Business Solution. If you have additional questions or would like to learn more about what Microsoft Dynamics CRM 2013 can do for your company, please contact us today to set up a Free Discovery Call or Trial at 636-237-2280 begin_of_the_skype_highlighting 636-237-2280 end_of_the_skype_highlighting or email at sales@turnkeytec.com. 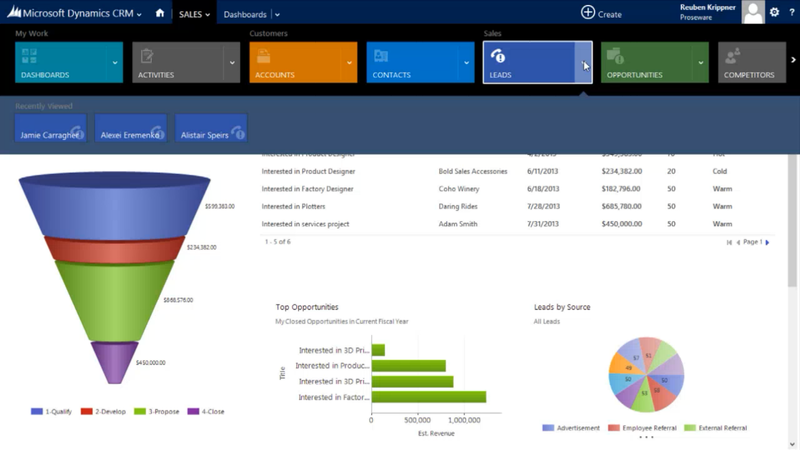 Microsoft Dynamics CRM 2013 has a new user experience that allows you to view everything you need, where you need it. This new experience is fast, fluid and relevant to what you are currently working on. The intuitive layout makes it easy to get in, get done, and focus on what is most important—your customers. •Easily create any record with Quick Create. This option will help capture key data points for the record being created, and allows users to create records from any point while in Dynamics CRM. •Quickly add/edit Product Line items with inline editable grids. You can input Product details such as price, quantity and discount directly in the grid on the form. •Track and manage key people. The inline lookup and editing makes it easy to view who is connected to the record and what that person’s role is. You can even create “New” records inline from within the lookup screen. Productivity was a key focus when designing the new user experience. Dynamics CRM 2013 is organized in a clean, consistent and easy to access manner, which helps prevent distractions and clutter by giving you the information you need in a format that’s easy to understand and navigate. •The streamlined navigation experience allows access to drop down menus from the top of the screen, making access to any record just one touch away. Bottom line: Microsoft Dynamics CRM 2013 has a simple and immersive interface that salespeople love to use and can be personalized with efficient and familiar experiences. Microsoft’s business expertise provides insight and intuition which they implement into their software. Their ongoing commitment to provide consistent software improvements, combined with their experience in business processes, paves the way for the ultimate user experience. If you have additional questions or would like to learn more about what Microsoft Dynamics CRM 2013 can do for your company, please contact us today to set up a “Free Discovery Call” or “Trial” at 636-237-2280 begin_of_the_skype_highlighting 636-237-2280 end_of_the_skype_highlighting or email at sales@turnkeytec.com. Need More Storage for Your Microsoft Dynamics CRM Online? When using any type of data-housing software, it is common to eventually run out of storage space. When a company relies on a program to store all of their past, present and future documentation, the need for more storage space is inevitable. Microsoft Dynamics CRM Online makes that easy! 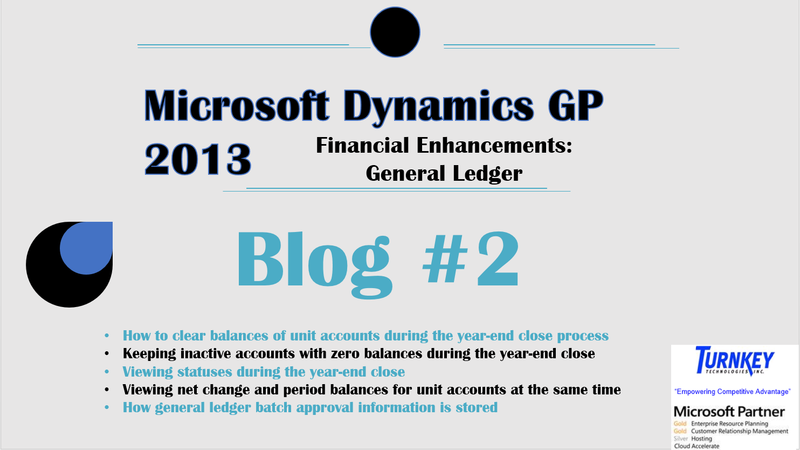 You automatically get 5GB of storage space when you sign up for Microsoft Dynamics CRM Online. For some companies that is enough, but in order for larger companies to remain under 5GB they would have to keep their stored documents to a minimum and delete old files that may be needed in the future. Luckily, with Microsoft Dynamics CRM Online you can purchase more storage space from your subscription management page. You will never have to worry about deleting files or running out of storage again! Settings > Administration > Resources in Use (or Subscription Management). If you don’t wish to purchase more storage space, there are multiple ways to reduce the amount of storage usage you use. You can check out the blog that the Microsoft Dynamics CRM Team wrote here for useful tips and tricks on managing your storage space. If you have additional questions or would like to learn more about what Microsoft Dynamics CRM 2011 can do for your company, please contact us today to set up a “Free Discovery Call” or “Trial” at 636-237-2280 begin_of_the_skype_highlighting 636-237-2280 end_of_the_skype_highlighting or email at sales@turnkeytec.com. Are You Tired of Your Current Customer Relationship Management Software? Many companies invested in traditional CRM software, unaware of the additional benefits that can be gained with alternative CRM solutions. Perhaps your company, like many others, is trying to make do with its old CRM software in an attempt to justify an unfortunate investment decision. If this sounds familiar, then you’ve come to the right blog. Turnkey Technologies has created a Trade-In program designed to help companies unchain the shackles of their outdated CRM investment. Rather than continuing to sink money into a dead-end solution, companies like yours can now put those resources toward a new, cutting edge CRM solution that will grow with your business as a life-long asset. This program can reverse your outgoing cash flows by providing a system that generates more revenue than costs, showing your company a true return on its new investment. •Deep integration between sales, marketing, and customer service provide your team with the tools they need to close more sales and bring in maximum revenue. •Campaign tracking helps identify the most effective marketing practices. •360 degree view of your customers and their history of interactions with your company gives users the complete set of information they need to form personal, meaningful relationships with customers. •Lead and Opportunity management help your team focus on the most revenue-generating prospects. •New integrations with social media tools such as Yammer, Netbreeze, and MarketingPilot provide deep insight into customers, their interests, and product trends. 3.Building deep customer relationships that will ensure future revenue growth. If this advanced CRM solution sounds like something that could help your company, please take advantage of this trade-in opportunity to get Microsoft Dynamics CRM at a reduced price. For more information on Microsoft Dynamics CRM and how to participate in our CRM Trade-In Program, click here or give us a call at 636-237-2280 begin_of_the_skype_highlighting 636-237-2280 end_of_the_skype_highlighting . Most businesses can benefit from using Microsoft Dynamics CRM Online, but a select few can take it a step further by taking advantage of Microsoft Dynamics CRM On-premise, which supports CRM projects that are more technical and intricate. There are five key questions you can use to evaluate your organization’s best option for a CRM implementation. Microsoft stays ahead of the game by providing new releases that have been adding additional functionality to Microsoft Dynamics CRM Online. These enhancements support greater organizational complexity – more users, departments, countries, and lines of businesses. These changes come with greater platform support as well. Answering these five questions below will give you a great starting point in determining your needs and which type of implementation, On-premise or Online, will work best for your organization. How many individuals in your organization will need access to CRM? Will Microsoft Dynamics CRM be used by one department, or companywide? Does your current business processes map well to “out of the box” functionality, or will you need to customize the solution? How much data will be migrated from legacy systems? Do you have any 3rd party applications that will need to integrate with Microsoft Dynamics CRM?